Along Simpson Boulevard, you will find two opportunities to dine on our campus: the CAF and The Bean Scene coffee shop. We welcome the general public to also come and frequent both of our eateries. The CAF, located in the Emeriti Dining Center, is open 7 days a week throughout the Fall and Spring semesters, serving a variety of food choices, ranging from continental breakfast and soup-salad-deli bars to classic buffet and interactive exhibition stations. The menu changes daily and offers both All-American and Regional-World Cuisine, with featured specials and events throughout the year. The CAF is closed during winter, spring and summer breaks. 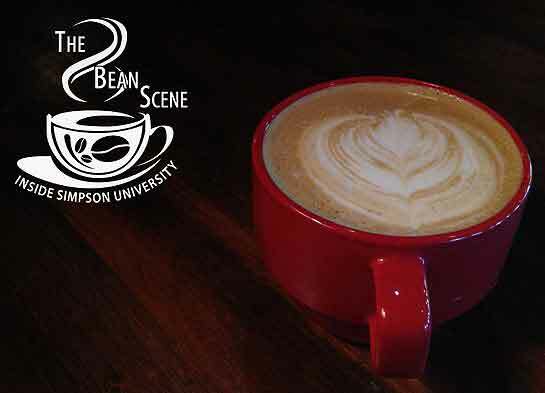 The Bean Scene is open 5 days a week during Fall and Spring semesters. We support sustainability and proudly serve locally handcrafted Heritage Coffee and feature gluten-free goodies baked locally by Measures of Joy Bakery. Each day we prepare a fresh selection of OutTakes grab-n-go meals. Free Wi-Fi also makes our comfy cozy spot and great place to study. Students will be notified of modifications to service hours throughout the year.